Connected devices, popular in the consumer space, have made their way into the healthcare field. Patients today are likely to interact with a number of different connected devices during the care episode. Healthcare security teams are tasked with securing each different device - updating its firmware regularly and upgrading technologies when appropriate. It's a complex challenge and puts a heavy burden on security teams due to the lack of necessary tools to manage them all. While difficult, the task is not impossible. 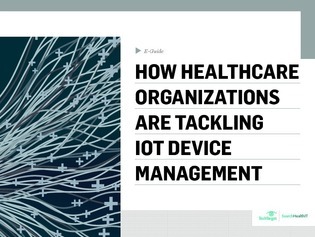 This e-guide will teach you how to efficiently roll out IoT medical devices and devise a plan to secure each device from surface attacks and cyberthreats. See how several vendors are tackling this problem and learn what tools they can offer to keep patient data safe.